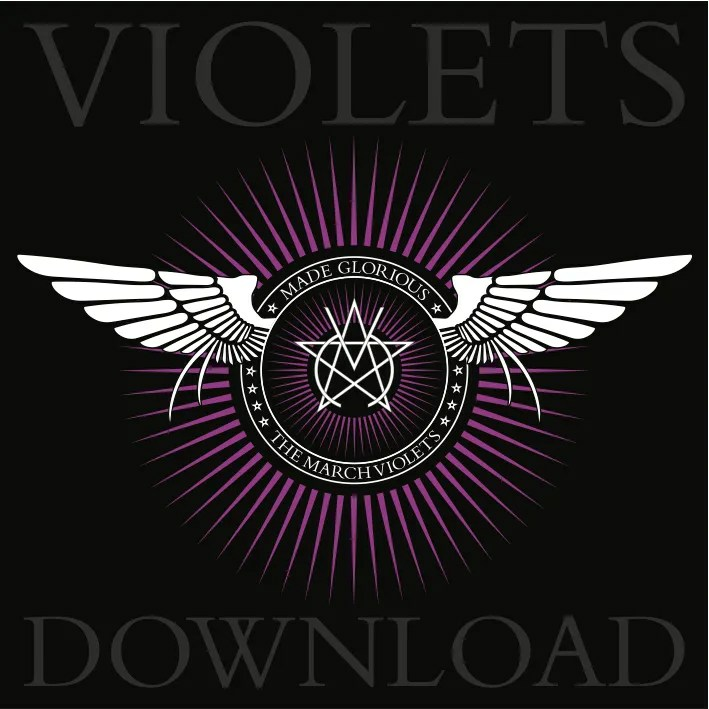 Purple Pledgers got the download of The March Violets new double album Made Glorious today. If you want to listen to a musically and lyrically diverse album with a gothic punk vein on a massive load of dance disco stimulants then you’ll be very happy. Pirates everywhere will be happy. And takes the dog out for a walk. Indeed, if you want to listen to a gothic pirate sea shanty then Ramming Speed is for you ! By my evil old Mum! This is a really great album from a really great band, not some plodding retro luke warm dish re-tread. This is off-beat manic stuff. Its not an “easy” album to listen to by any means, but it is a keeper. The March Violets always came out with real odd stuff like “Long Pig” and “Bon Bon Babies” and this album continues this theme. I can see where they get some of their inspirations. The tracks relased on the previous EPs also receive a lot of re-working – some subtle like on London’s Drowning, but more radical changes like on We Are All Gods which mixes the live version with an almost EBM crunching drum machine and synth.